As we finish up this last chapter dealing with spiritual gifts we will cover some of the most controversial questions surrounding this topic. 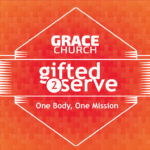 As we have already established The spiritual gifts are something that Go gives to the church for us to use to glory Him, to edify the body until we are all mature in the faith. The culmination of that will not happen until we Christ comes again to receive us home to be with Him. In the last verse of Chapter 13 it says..
Notice what Paul says first that love is the what we are called to do. As we love well, we should eagerly desire the gifts of the Spirit. Is very important since it means that God can give gifts at a future time in our lives. Remember as we have defined these gifts they are not the gifts we are given at salvation, but they are the holy spirit manifestations given to us in the moment of service using the those gifts given to us by God. Then Paul adds especially prophecy. Here Paul begins to take on a discussion of 2 very specific speaking gifts and how they are to be used in the context of a public gathering. In the next several verses he will explain why he values one gift over another. But it is important to know that they are both gifts from God that we should desire. Here Paul begins to describe the concept of speaking in tongues. From this verse not removing it from it’s context but understanding that Paul is drawing a contrast we understand that Paul says that tongues as it is used here is not used to address each other but is used to talk to God. The idea here is that tongues are not used by God to reveal knowledge but instead is used to praise and honor God. He goes on to say no one understands them. This gives some credence to the idea that this is not a know language to the gathering. This could be heavenly language that can only be understood by the power of the Holy Spirit. Ultimately Paul says they utter mysteries. This is the idea that what is being said is being kept hidden from those who hear it. Paul then contrast to Prophecy. He says that the purpose of prophecy is to strengthen, encourage and comfort others. It is important to notice that prophecy is directed to each other. Then Paul sums up His contrast, by saying that tongues edifies only one person, The one speaking it. But prophecy edifies everyone. I believe that Paul once again is addressing a specific problem in the church. SELFISH worship. Remember Paul has already address their self-centeredness in the previous discussion about the communion, now he addresses how they are not concerned with each other but more about what they can get out of their time together. This is not unlike the consumer mentality in the church today. Largely there is a mentality in the church that is about what do I get out of it. This is part of what sparks worship wars in the church. On one side you get young believers who come into the church thinking it is about getting their needs met. And that is not a bad thing but if they are not disciple, encouraged and taught that they are to be contributor they can spend much of their lives going to church but not being the church. They might give a bit here and their but they don’t feel the urgency to plug in and love the lord their God with all their HEARTS, SOULS, MINDS and STRENGTH. This leads to people who attend church, but never become members or sacrifice for the body. Then there are those (usually long time church attenders) who think that the church is about them and what they like. If the preaching is not a certain style, if the music is not to their liking, if they are not given what they want, they get negative, critical, judgmental and sometimes divisive. Ultimately they vote either with their pocketbooks or with their absence. But ultimately they respond selfishly to the church. They won’t serve or contribute to making the church better because it is all about them. Paul warns us that we can come to church and make it all about us, not thinking how can we build up, strengthen, encourage and comfort each other. Paul then encourages them all by saying I would like everyone of you to speak in tongues… Why would Paul say that? Remember Paul has already said not everyone is given that gift, and he has already warned of the selfish tendency, but he also desires for everyone to be edified and built up, and Paul knows that tongues is a gift from God that can encourage them to experience God on a different level. 6 Now, brothers and sisters, if I come to you and speak in tongues, what good will I be to you, unless I bring you some revelation or knowledge or prophecy or word of instruction? 7 Even in the case of lifeless things that make sounds, such as the pipe or harp, how will anyone know what tune is being played unless there is a distinction in the notes? I love this! Paul then ties the idea of using your gifts to serve into music. (go to the piano). 8 Again, if the trumpet does not sound a clear call, who will get ready for battle? 9 So it is with you. Unless you speak intelligible words with your tongue, how will anyone know what you are saying? You will just be speaking into the air. 10 Undoubtedly there are all sorts of languages in the world, yet none of them is without meaning. 11 If then I do not grasp the meaning of what someone is saying, I am a foreigner to the speaker, and the speaker is a foreigner to me. 12 So it is with you. Since you are eager for gifts of the Spirit, try to excel in those that build up the church. Paul ties it all back up by encouraging them that if they are pursuing that God would use them, They should do it by desiring to be helpful to the body, seeking to speak to each other in ways that build up. Paul drives the point home by saying that He would rather speak 5 words with intelligence in the church gathering than 10 thousand in tongues. Obviously Paul is using exaggerated language here to prove his point but he is leading somewhere. “With other tongues and through the lips of foreigners I will speak to this people, but even then they will not listen to me, says the Lord.” 22 Tongues, then, are a sign, not for believers but for unbelievers; prophecy, however, is not for unbelievers but for believers. Paul then once again points to their maturity and encourages them to grow up and act more mature. Then we come to vs 22 and on the outset this verse is extremely confusing because it seems to contradict other verses. 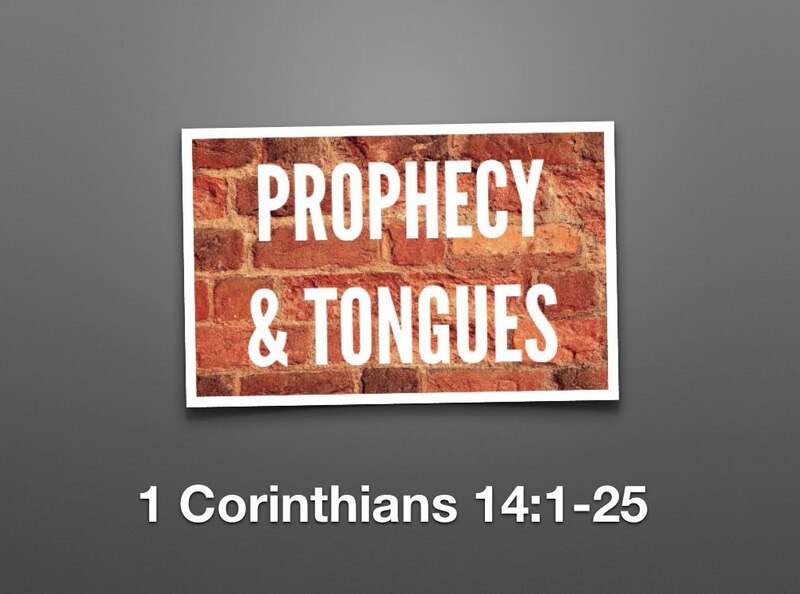 It says tongues are not for believers but unbelievers, and prophecy is not for believers but unbelievers. In order to understand this we have to recognized that Paul is quoting Isaiah ad is using the context to of the old testament to explain what he means. The word sign is the key word. we will find that the use of tongues in regard to unbelievers concerns God’s judgment. God initially spoke to His people plainly in their own language by the prophets, yet they would not listen. When they failed to respond to His gracious communication, He raised up foreign nations of a strange lip to “speak” to them in judgment. These nations attacked and overthrew those who refused to listen. The nations spoke a language the Jews did not understood, yet Israel would “listen” to them because they ultimately understood that the harsh judgment of these nations was ultimately from God. So tongues, based on this OT context used by Paul, is a sign for the unbeliever because God is speaking by the Holy Spirit in a foreign language the unbeliever does not know and cannot understand. Paul then clarifies what He is meaning in the next few verses. The next word he uses is SO or Therfore. 23 So if the whole church comes together and everyone speaks in tongues, and inquirers or unbelievers come in, will they not say that you are out of your mind? Why because they will not understand what is going on. They have no context for this and they will think we are just weird. Ultimately speech in the church is to point people to repentance and to draw them to God. Not to glorify self or experience. Questions for us to ask and apply to our lives today. Where are we being selfish in our worship? What is the purpose for worship on Sunday? Or any day for that matter? Do we expect to receive more than we give? What can you give to our worship? How can you act as a conduit of God’s grace and mercy? How can you contribute to pointing others to Christ in repentance? How should we respond to prophecy?